I’m very proud to announce the listing of 620 723 W 3rd St in North Vancouver, a modern 2 bedroom penthouse home with a 600sf private rooftop deck. Welcome to The Shore, developed by Adera Homes. 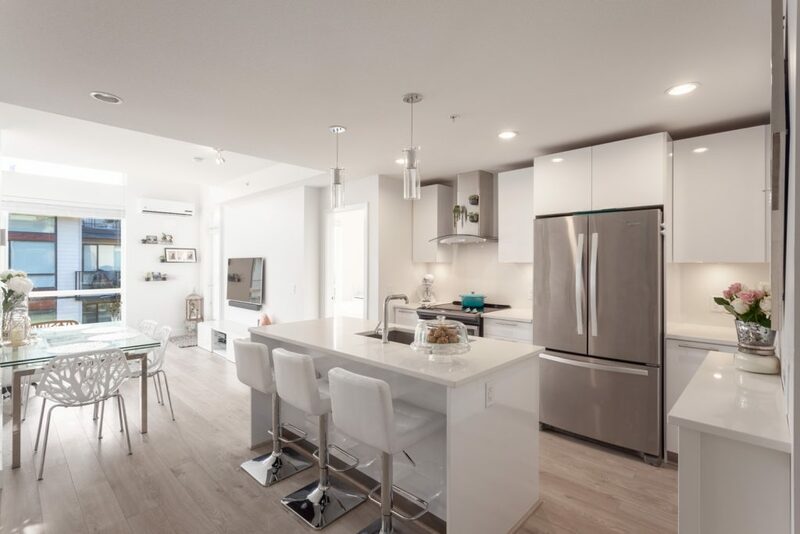 The Shore is a popular three year new development located in the heart of North Vancouver. From this location, you’re a quick walk to Cap Mall, groceries along Marine Dr., breweries and Mosquito Creek Park and off leash dog area. Ride your bike along the Spirit Trail to Lower Lonsdale or Park Royal. Ideal location for transit to Lonsdale Quay or the 240 to Downtown Vancouver. #620 is a 2 bed 2 bath + flex, penthouse level home with an oversized 600sf sun soaked roof top patio. Enjoy views of Grouse Mountain while barbecuing with friends! Home updates incl. air conditioning, glass shower enclosures, closet organizers and window/door screens. Building amenities include large gym, spin bikes, yoga room and a party room great for kids birthdays.